Sometimes on a dairy farm things can get a little twisted. Like messages from one person to another or the PTO shaft on the manure spreader or when you jump off the tractor and twist your ankle. I can’t think of anything good that gets twisted on a dairy farm but my least favorite thing to be twisted is a cow‘s uterus. Ladies, let me apologize now for any sympathy pains you experience while reading this post. I promise at some point I will cover castration to even out the pains between genders. This summer we had a cow trying to calve. She started out showing the usual signs of calving. She had stopped coming out to eat, had her tail up in the air and was having visible contractions but after an hour and a half I wasn’t seeing her progress any further. I had my suspicions as to what was going on even though the problem I feared isn’t extremely common. So I pulled on the long glove and went in to check her. I had learned how to check for a twisted uterus a few years ago when I spent a day riding with Dr. Stork, one of our cow vets. He taught me to feel for a ridge with my hand, fingers bent as I pulled my arm back. When I did that checking our cow, sure enough, there was a distinct ridge. 408 relaxing this morning in our barn. A cow’s uterus isn’t shaped the same as a human’s. Instead of one pear shaped area, a cow has two distinct uterine horns. So a cow’s uterus is shaped like the letter Y. A calf will take up residence in one of the horns when a cow becomes pregnant. A uterine twist or uterine torsion happens when the horn with the calf in it flops over the other horn. It causes the uterus to twist. The ridge I was feeling was the uterus twisted over itself. This diagram shows a uterine torsion or uterine twist or dystocia. Several names, same meaning. Houston we have a problem! I may be able to diagnose the problem but fixing the problem is a whole ‘nother story. I called the professionals in and soon Dr. Jen was on the farm assessing the situation her self. We started the exam outside. At this point 408 is being pretty agreeable to being examined. There are different degrees of twist and there are different methods of fixing a twisted uterus. If the twist is slight, you may be able to physically roll the entire cow and get the uterus untwisted. If the twist is a little more severe and your vet happens to be Hercules they may be able to reach in and flip the calf back over. Or in a moderate case the vet may choose to use a torsion bar and obstetric chains. In a severe twist or when the other methods aren’t working a c-section is the best option. 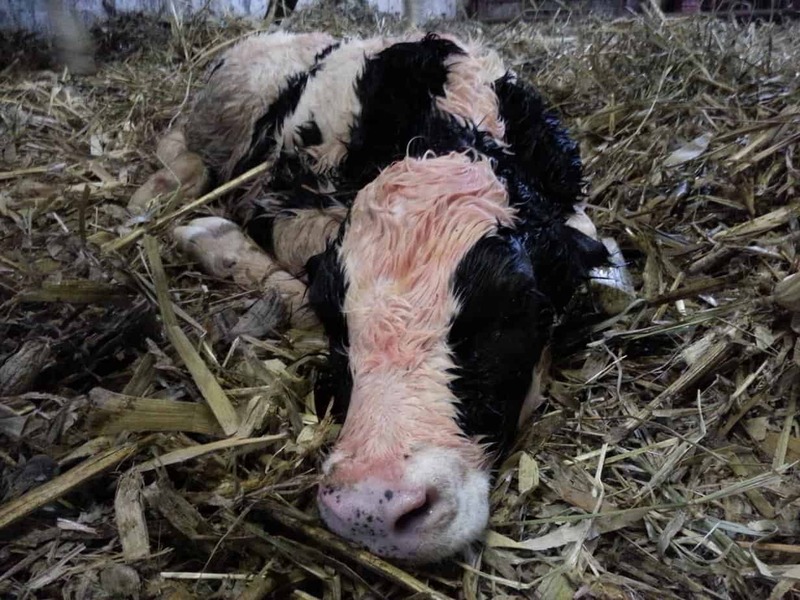 However a c-section is very hard on a cow and we want to avoid it as much as possible. 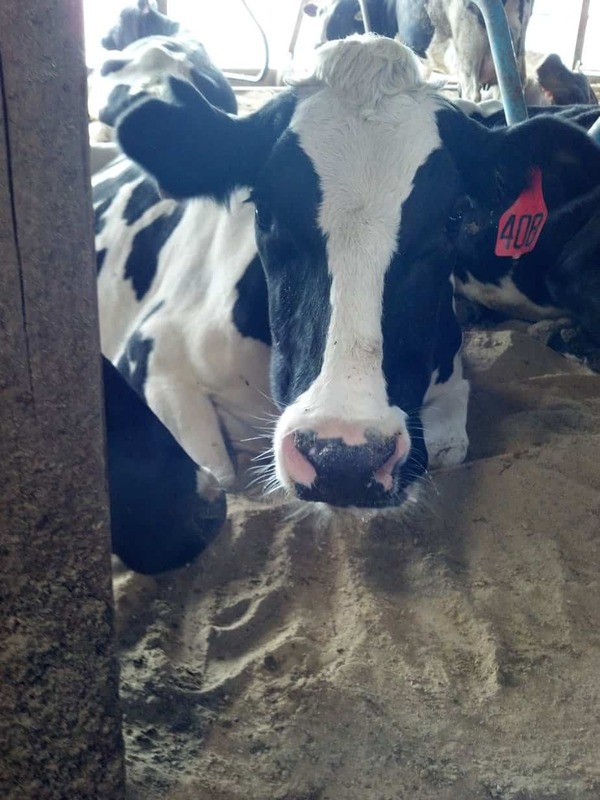 Our cow 408, had a moderate twist. 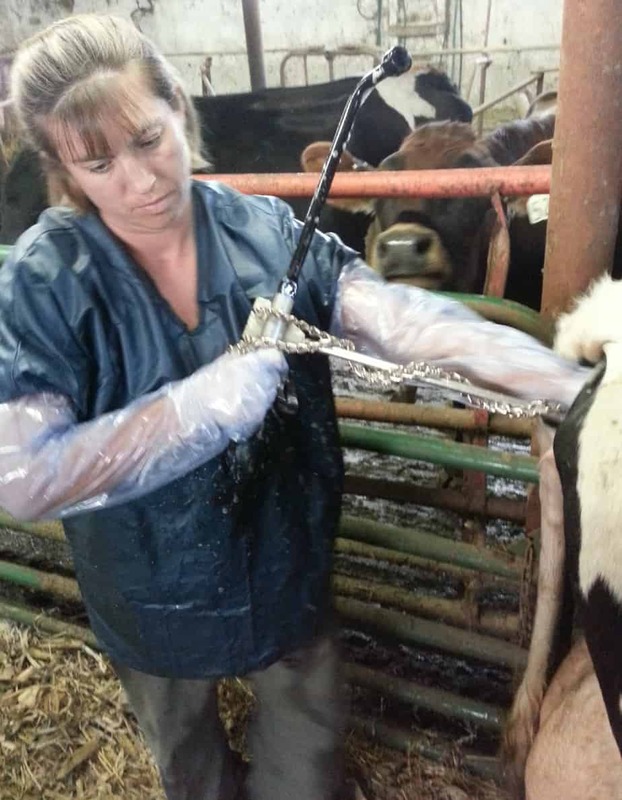 Dr. Jen elected to use the torsion rod and obstetric chains to help get the calf out. At this point in the process 408 decided that she wasn’t going to cooperate so we brought her into the pen in the barn where we could have better control over the cow and the situation. Of course this also means we had a bovine audience. 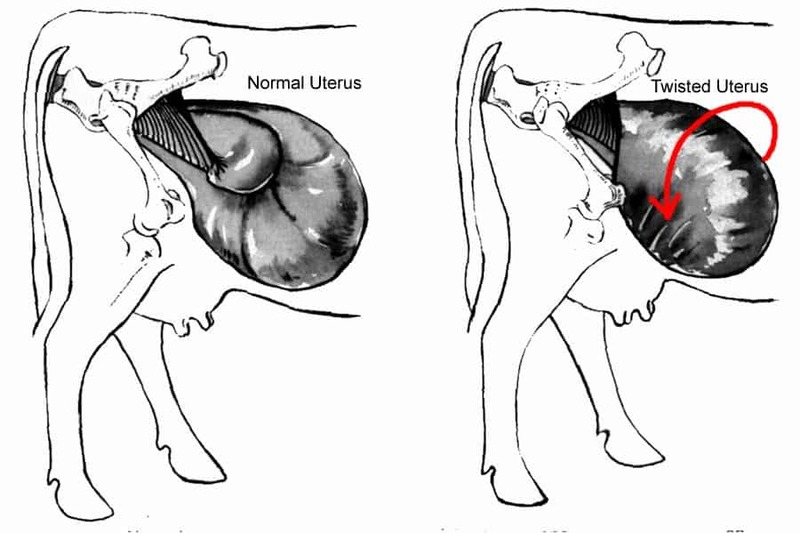 In order to fix the twisted uterus we have to roll the calf over in the uterus. This is not an easy task. 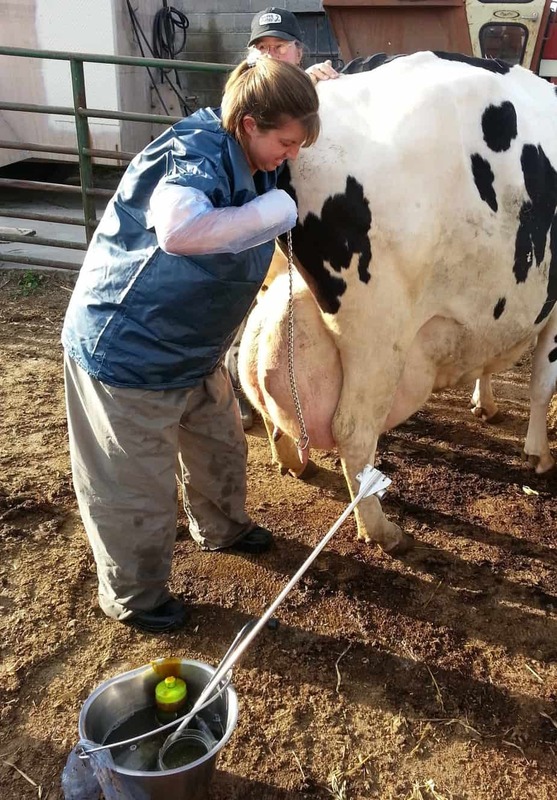 The first step is to slip the obstetric chains on to each foot of the calf. I know chains sound horrible, but human babies get pulled out with salad tong things and baby shop-vac things and that sounds bad too but all of them are tools used by professionals to help babies make it into the world alive. So back to the story, chains are placed on the calf’s feet and wrapped around what’s called a “torsion bar” like the picture above shows. Then I set down my phone/camera so I can help Dr. Jen. As I slowly turn the torsion bar, Dr. Jen guides the calf and checks it’s position. At first the bar turns easy but once the calf reaches the critical turning point it gets really hard to hold the bar and keep turning it. Basically the turning of the bar is rolling the calf inside of the cow. Welcome to the world little heifer calf! Yay for a bouncing baby girl! After the calf was born Dr. Jen checks her over. A calf’s legs can get hurt in this process because of the twisting. But a sprained joint is easier to fix than a calf that’s born dead which is what would happen if we let the cow continue to try and calve without fixing this problem. This little girl did end up having an injury to her leg. Which I will blog about on Wednesday in part 2 of this story! Have questions about this? Leave them in the comments below and I will do my best to answer them! Oh NO! The Cows are out! « Blame it all on my roots, I showed up in boots…and now you can too! 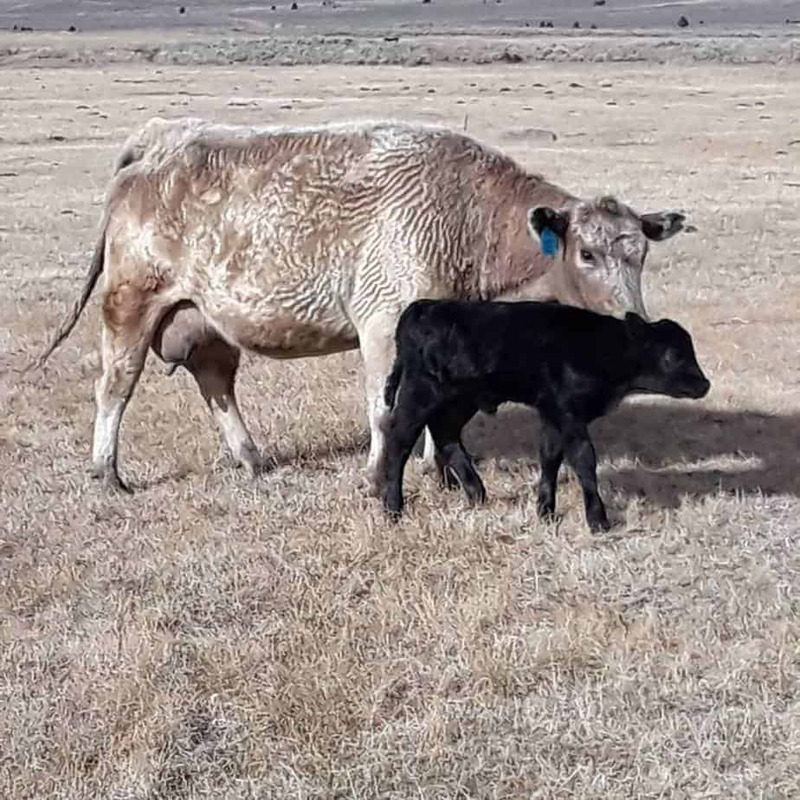 Our most recent twist involved the calf’s front being in one horn, and the back half was in the other horn of the uterus. Vet had to come at 10:30 on a Saturday, usually our vet can fix a twist by rolling the calf with just his own strength, but didn’t work this time. He thought we were dealing with a deformed calf, so did a c-section. Then he figured out the problem, and we had a healthy heifer calf. We have had good luck with c-sections, at least 3 in the last 5 years, with all cows surviving. This one did have a DA 2 weeks later, and needed an additional surgery, but is doing well now. Baby is now a month old 🙂 Hope your story has a happy ending for all too! Ugh! Fortunately, I never had to deal with a torsion, but we did have 3 cows that prolapsed their uterus. One we found dead, one we got it back in (what a job THAT was!) and sewed her mostly shut with fishing line, but she busted the stitches and shoved the whole mess back out a few hours later (we couldn’t get the vet out to give her an epidural, dangit), so she became hamburger. We did save one cow, but she ended up being shipped to market instead of being bred again. Ah, the joys of dairy farming! we farmed for many years and had a few prolapses and did quite well with them. Got so good at it that the neighbors call me when in trouble. 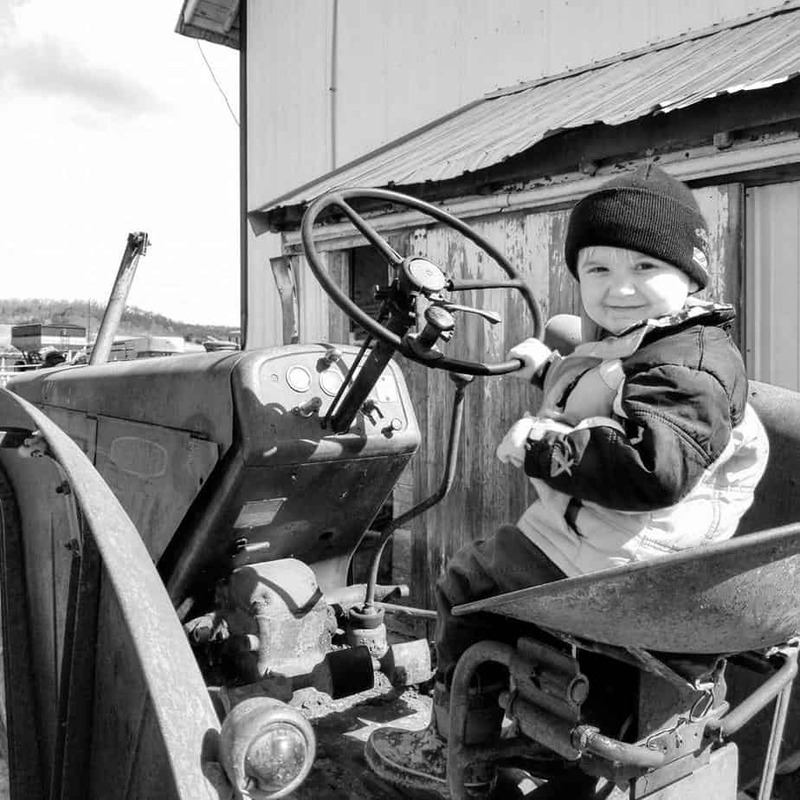 I am 84 years old now but still miss the farm years. Would do it all over again. 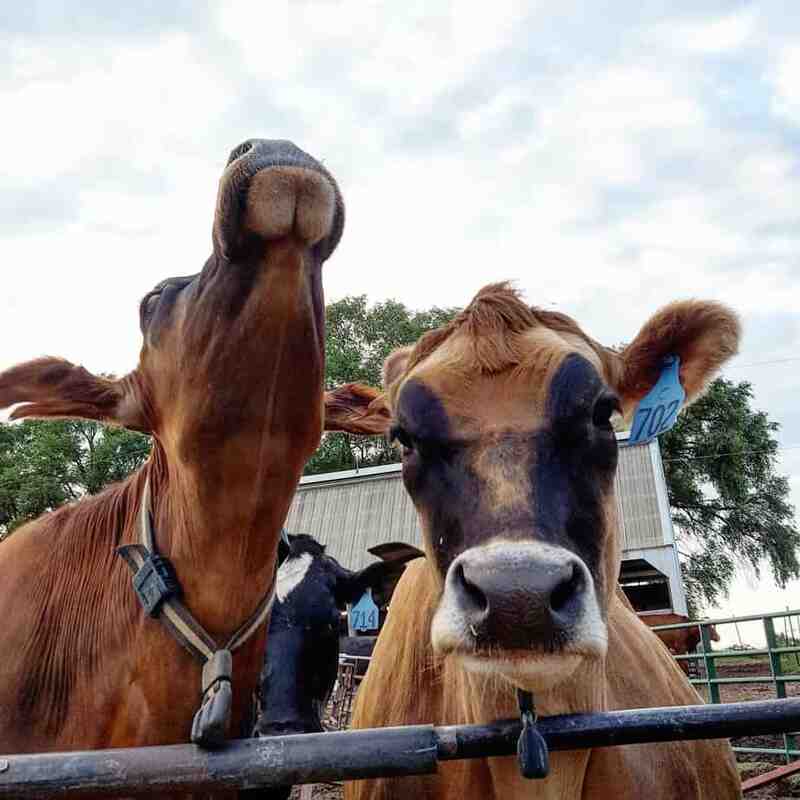 Are there any big differences between the types of calving problems experienced by dairy cattle and beef cattle? 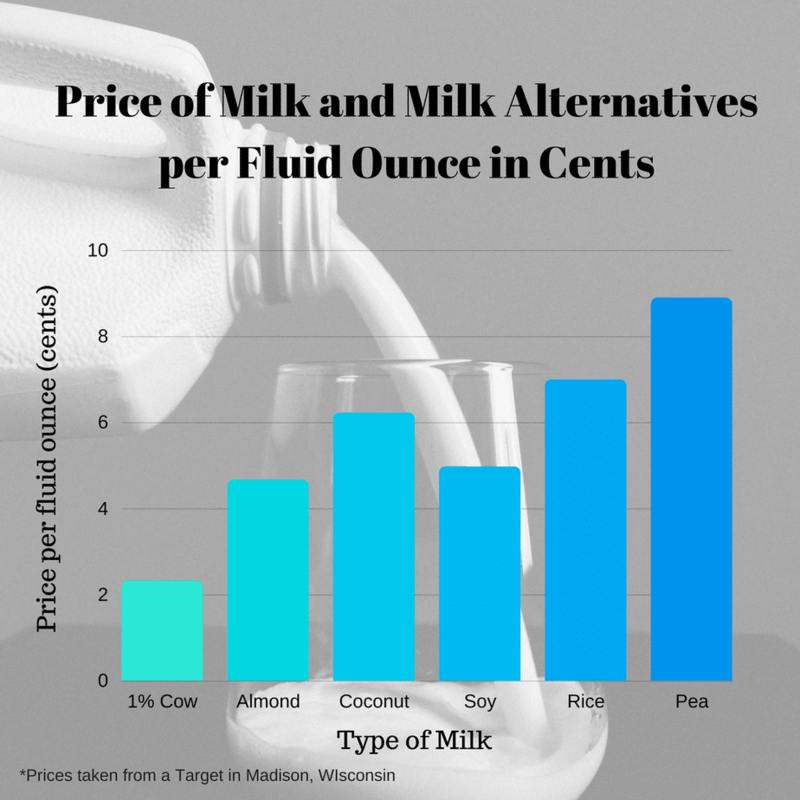 I’ve grown up on a beef farm and helped deal with calving problems with my cows, but I have very little experience with dairy cattle. I don’t know if there is a certain type of calving problem that dairy cows may be more prone to or not. Good question. I don’t know the answer but I will ask our vet tomorrow at herd health. I was wondering this too….also grew up on a beef cattle ranch and where we did deal with a few prolapses, I cant ever remember a twisted uterus ever… Ive actually never even heard of it until now. We did have a few calves get sick and get a twisted intestine though.